There is a profound and beautiful tradition of gathering to share a meal preserved in Rome's culture. This sacred habit of taking the time to pick ingredients, meticulously prepare them, and spend hours enjoying them through conversations and laughter, is near and dear to my heart, and one of the reasons why I made my DivoraRoma culinary trips a reality. 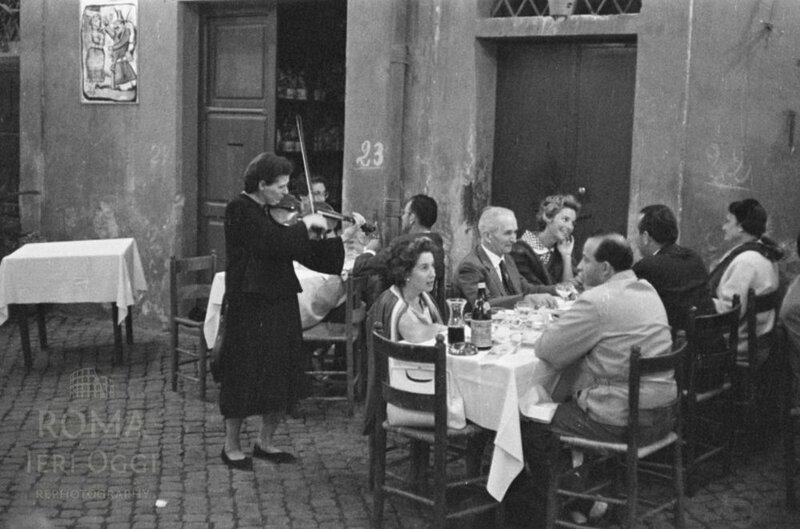 A blog I fondly follow (called Roma Ieri e Oggi, which means "Rome yesterday and today") posted street photographs of scenes of Rome, from decades ago. The ones I chosen to transcribe here, are associated with scenes of Romans enjoying meals. To this day, Romans take ample time our of their day to gather for lunch and dinner either at home or in restaurants, where they spend hours enjoying slow foods and chatting about life and politics, and of course, gossip. 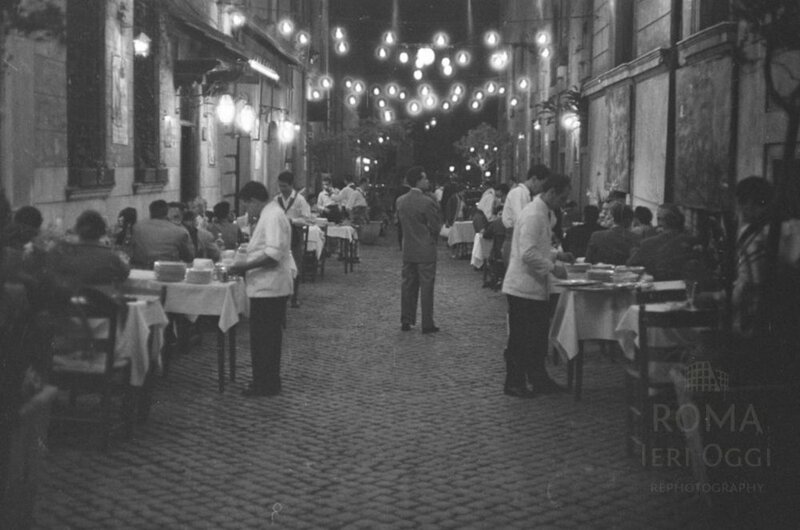 Link to the original Roma Ieri e Oggi post with many more historic images of Rome. Older PostHAPPY 2770th BIRTHDAY, ROME!